If you found yourself booking a vacation for this upcoming weekend for your family – you hit the jackpot for a perfect family weekend in Los Angeles. With the Coachella Music Festival continuing on out in Indio, the masses have flocked to the desert, just east of Palm Springs. 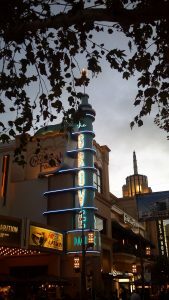 The traffic in Los Angeles is lighter, wait times at the top restaurants are shorter, and the best seats are available at theatres for all the new release movies. On top of this – this weekend marks the most family-friendly holiday there is, Easter! No matter what you celebrate, Easter is the perfect holiday to engage family members from babes to Grandma and Grandpa. Los Angeles has plenty of activities throughout the city. Whether it’s Easter egg hunts for the kids, or brunch with mimosas for Mom and Dad, it’s easy to find a spot to celebrate the day in Los Angeles. This sunny city gets even brighter and happier as we “hop” into this spring celebration. (Sorry, we had to). For those looking for a classic Easter and want to give back, we highly recommend heading down to Downtown Los Angeles and Grand Hope Park. 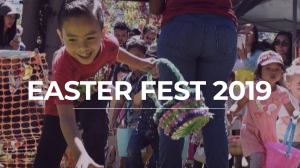 This year marks their 11th Annual Easter Fest and has all the classic activities for your family. 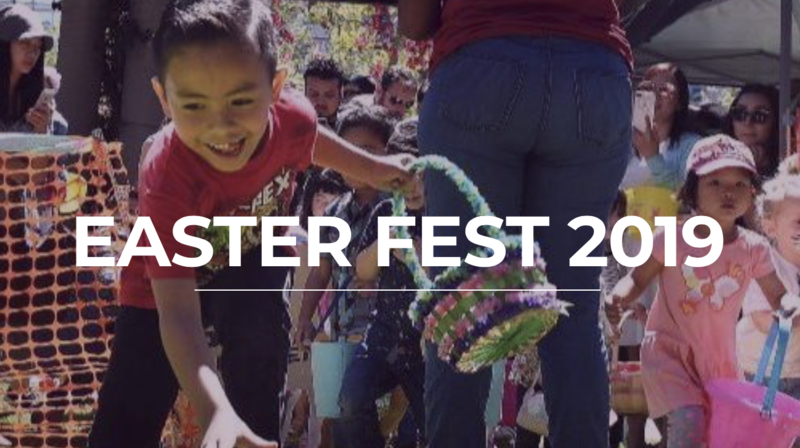 From the Easter egg hunts and face painting, to crafts, music and food…they have it all! It does cost $30 per family to go, but all proceeds go to helping homeless families in the nearby area of Skid Row. Need a little Easter spirit throughout the weekend? Start it off with a fun and educational afternoon at The Los Angeles Zoo and Botanical Gardens. Kids can see the big bunny himself, learn about animals, do crafts, and even start their own green thumb practices by potting their own plants. Of course we have to recommend a stop at The Grove and Farmers Market. They just do holidays right! Celebrate Easter a day early with petting zoos, face painting, and a visit to the Easter Bunny. With the theatre right there you can end your day seeing a movie with the kids. Pacific Theater at The Grove conveniently has a bar with glasses you can take into the theatre. The kids can enjoy their film while you get a chance to un-”wine”. 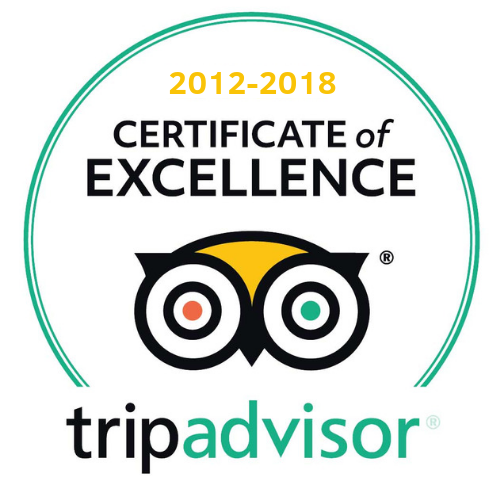 We’ve had a staggered Spring Break with many guests visiting the city about 2 weeks ago. It’s kicking back in for round two this upcoming week. If you’re looking to book a private Los Angeles excursion with Glitterati Tours, it’s best to get it on the books sooner than later. Most days have been selling out completely.